Welcome to Croatan Woods, where peace and quiet co-exist with all the progress and opportunity of the Outer Banks. Here, ospreys rule and the days are marked by the ebb and flow of the tides of Croatan Sound. Towering pine trees, majestic live oaks, grand hollies and bald cypress trees are the backdrop and the calls of shore birds and song birds are commonplace. It's Roanoke Island untouched, where Native Americans once roamed and wildlife still abounds. This stretch of Roanoke Island is a haven for nature lovers, fishermen and birdwatchers alike. Croatan Woods backs up to federal park service land so buyers know their quiet, peaceful lifestyle will remain. Striped bass are abundant in the nearby Croatan Sound between Roanoake Island and the mainland. And thousands of Purple Martins descend every evening onto the William B. Umstead Memorial Bridge during the summer months, a spectacular sight for many birdwatchers. Despite many attempts by developers to purchase and build on the Croatan Woods property, the Harvey family has held onto the pristine piece of maritime forest for more than a half-century. Dr. Wallace W. Harvey, Jr. and his wife, Margaret, bought the land in 1958. 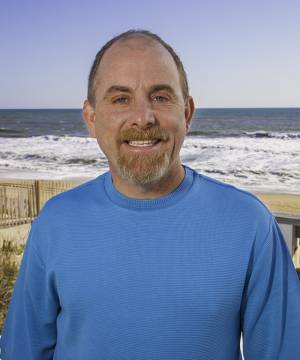 Before Dr. Harvey passed away, he had envisioned a community of single-family homes on the property surrounded by Roanoke Island's natural beauty, his wife said. Margaret said their children, Wallace III, Elizabeth and Judith, loved to explore the woods and are determined to see his vision for the property become a reality. 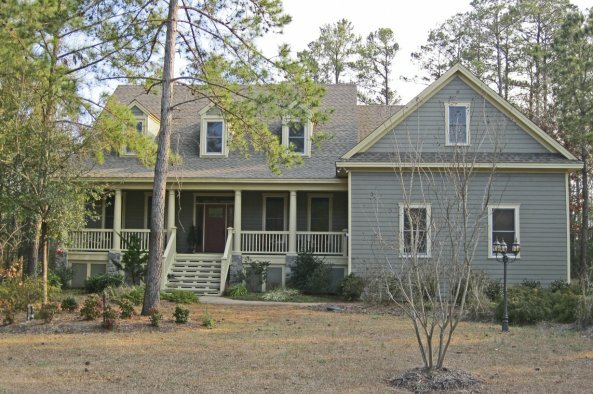 Croatan Woods consists of 43 home sites, each with a minimum size of 20,000 square feet. Restrictions have been set on tree cutting in the community to maintain the natural feel and preserve the area's natural beauty. To preserve the treasured woodlands, Dr. Harvey's son, Wallace III, constructed a nature trail and quarter mile boardwalk at the north end of the property for community members to enjoy. 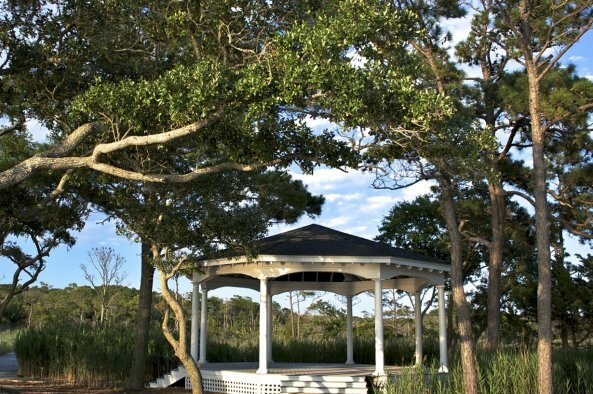 The boardwalk meanders through virgin wetlands and opens up to a 32-foot gazebo overlooking the Croatan Sound. Gentle waves lap at white sandy beaches that are ripe for exploring, bird watching or just relaxing. 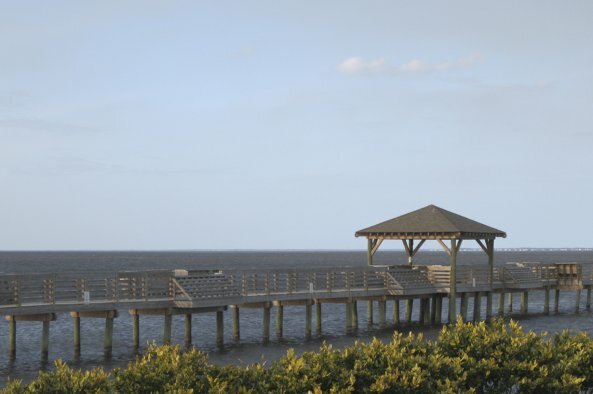 All this beauty and homeowners are still minutes from the charming but bustling downtown Manteo and not far from the Outer Banks' beautiful beaches. Opportunity abounds for Roanoke Island residents these days as exciting developments are underway. As home of the county seat, Manteo is quickly becoming a hub for higher education as well as history and arts in eastern North Carolina. Boaters can anchor their boats on the Croatan Sound and a state owned private access boat ramp is just north of the property. Plans are also underway by the U.S. Fish and Wildlife Service to construct a state-of-the-art visitors' center on federal land adjacent to Croatan Woods. 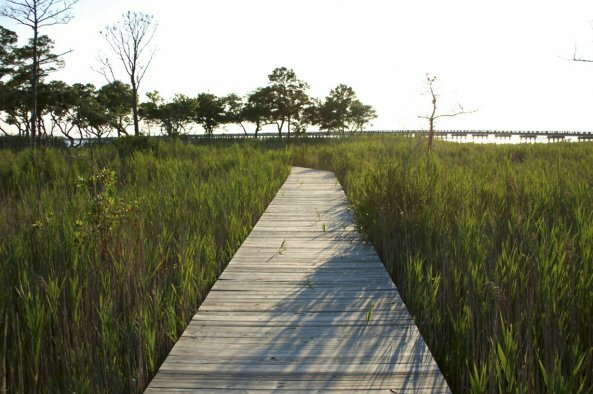 The 18,000-square-foot North Carolina Gateway Visitors Center would employ 30 employees and volunteers and be used to teach visitors about the national wildlife refuges in eastern North Carolina and encourage people to get out and explore them.